These are awesome! Super easy to use, and extremely realistic! Will definitely be purchasing again! We are very proud of our dubbing selection. 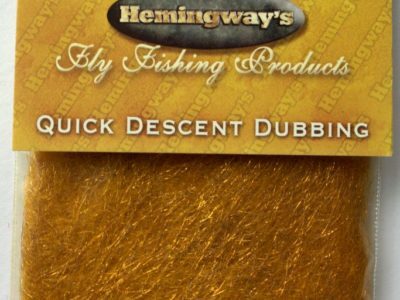 Hemingway’s fly tying dubbing is by far the finest dubbing material on the market. All blends have been carefully designed, manufactured and prepared to please even the most selective tyers. 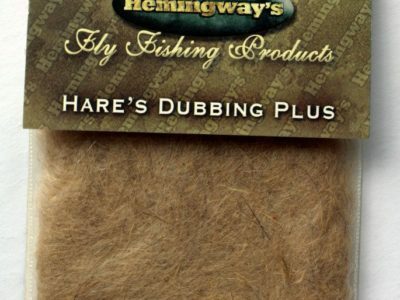 If you are looking for a prime natural fur dubbing material, Hemingway’s offers Deer and Hare dubbing blends, both superbly made. 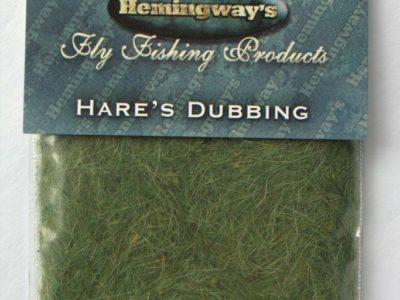 There is a wide selection of natural and synthetic mixes, perfectly balanced and blended. 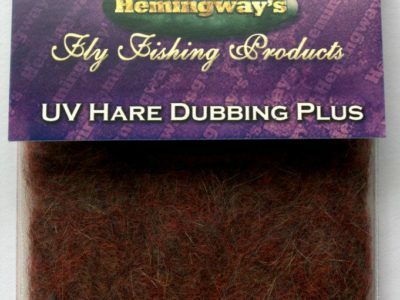 Chose from Beaver, Hare Plus, Hare Plus UV, Czech Nymph. 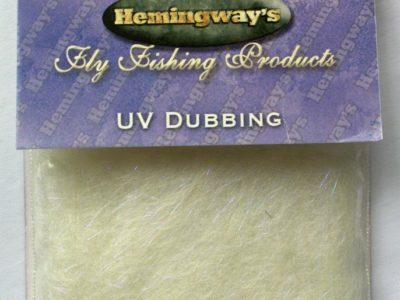 The synthetic fiber dubbing collection has some of the finest of a kind: Peacock, Quick Descent, UV, Frosty, Starlite, All Round. 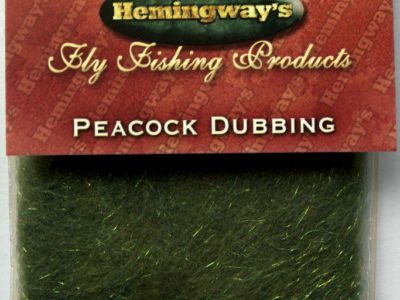 Hemingway’s dubbing is very versatile and can help you create the best, most effective fly patterns. 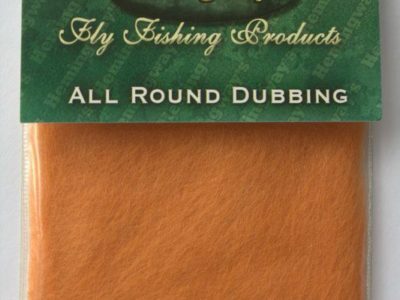 For tying great looking and highly floatable dry fly patterns try Beaver, Deer, Starlite or All Round blends. 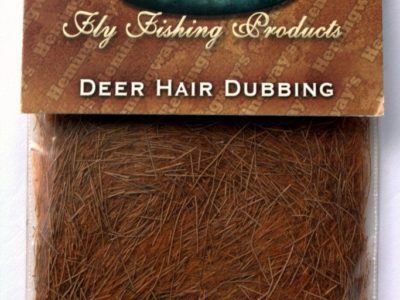 For some killer nymphs, looking like real insects, try Hare, Hare Plus, Hare Plus UV, Czech Nymph, Peacock, Quick Descent, UV, Frosty. For making attractive streamers use Starlite, UV or Frosty. 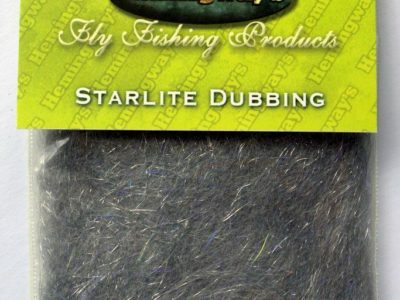 Some all purpose, universal dubbing blends, great for both dry or wet flies are All Round, Peacock, UV or, our favorite – Starlite. 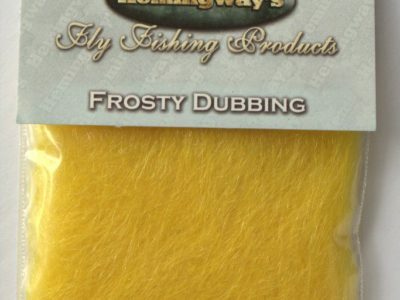 Looking for some added glitz and sparkle to your flies? Check out the sparkling Hare Plus or Quick Descent, pearlescent Czech Nymph, translucent Peacock, shimmering Starlite or light-reflecting Frosty. 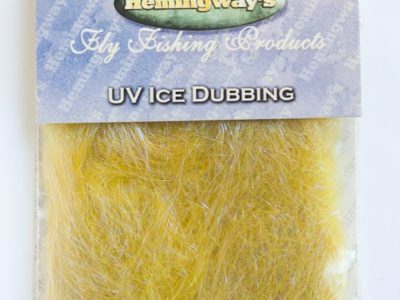 If you want to make your flies visible in low-light situations, try the UV fiber enhanced blends – Hare Plus UV and UV dubbing. 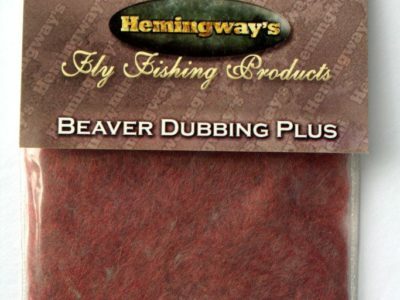 All these great dubbing blends also come in handy travel-size containers, see the full selection here.